After playing the card game for several years, I was very excited about the Munchkin boardgame. I bought this game without any second thought. Oops, I should have played it once before I bought it. Maybe I should have had someone that know how to play this game already to teach me and play along. But, I painstakingly read all the rules myself and tried to play this game with my kids. I was the one who had to keep track of all the rules and details. All I was thinking the whole time is “the card game is much easier”. I really blame myself for such high expectations. I’m willing to give this game another chance if there is someone else who knows the rules better than me. The game right now just sits on the shelf. Occasionally my kids will pull the game out to just play with the game pieces. I’ve been playing this game for almost 30 years. I actually don’t have the latest 4th edition, I have the 2nd edition from the 1980’s. This was the transition game for me from playing Monopoly, Risk and UNO to playing Settlers of Catan, Munchkin and Sentinels of the Multiverse. I introduced this game to my kids a few years ago and they loved it. It’s easy to learn and play, also the kids like the fantasy theme. It sort of reminds me of a Fantasy Monopoly. I know that turns a lot of people off of the game being similar to monopoly (all luck, no movement options and 3+ hours of game time), so I made some house rules for movement and some other things to help speed the game up and create more strategy. This has been one of my favorite games through the years. I gave this game a lower rating earlier on because I bought this game not knowing you need 2 packs to have a “real” game. Now that I have 2 packs (Heart of Cormyr and this one) and have played a “real” game, and I would rate this game higher. This pack gives the heroes a run for their money. There are very tough orcs and a powerful Ogre that smashes everything in it’s path. This game was much better than I expected it to be. I did not have very high expectations but was delightfully surprised. I like that I could play this game in under an hour on my first game. I’m sure after several plays, games will average around 30 minutes. Maybe even less! The miniatures are fantastic! They are beautifully painted and worth the cost of the game alone. Huge bonus for me is, I have Castle Ravenloft and Wrath of Ashardalon board games in which I can throw these monsters into the game for added variety. This is a fantastic fast paced miniature skirmish game. The miniatures are beautifully painted. Worth the cost of the game in itself. I think this is a great intro into the tactical miniatures genre. There is not a lot of rules, details and campaign baggage with this game. You just get right into the basics of miniature tactics battles. Once you play this game a few time and get the hang of it, it’s possible to complete games in under an hour. This game is for people who appreciate D&D and fantasy themes but just don’t want to invest the time, or don’t have a good Dungeon Master to run a role playing campaign. You can get a good D&D fantasy fix with this game. I enjoy the aspect of exploring as you go. Cooperating with your friends to accomplish a goal. I also enjoy the fact that you can play the game solo because the adventures and monsters run themselves. It’s easy to learn and fast to setup. You also get a lot of game for the money. The downsides to this game, for one, is that it’s a challenge to store this game. There are many components of different sizes and shapes. Second, it’s a bummer, for me at least, that the miniatures are not painted. I’ve never done miniature painting and thinking about painting all these figures is daunting. Overall, I really enjoy getting my D&D fix with this game. I also have Wrath of Ashardalon and mix these 2 games together for some extra adventures. You get a lot of bang for you buck with this game. Very well made game. Amazing components, easy to learn, kid friendly but challenging. This is a very versatile game with endless possibilities. After a few games under your belt, you can begin making your own house-rules and adventures to adjust to your style of game play. The miniatures are detailed and the Ashardalon dragon miniature is huge! I love the exploring aspect of this game. I love being able to play solo. I love the campaign mode and building up your character over several adventures. I will definitely get the other expansions for this to add more possibilities. This is a great family game. It is easy to learn for any type of gamer. The fun challenge of the game is figuring out how to complete all of your “routes”. The extra challenge is figuring out how to complete all your routes while making one continuous path to win the Longest Route at the end of the game. This game has a high replay value since there are so many combinations of routes in the game. Another dynamic of the game is the strategy of blocking your opponents from completing their routes. For players who are very competitive, this can be a fun part of the game. For playing with not so competitive players, you can also choose to play “nice”. So, there is an option for any type of player. How ever you decide to play, you will still have fun. I’ve found there are a couple of downsides to this game. One is that it does not play very well with 2 or 3 people. It plays much better with 4 or 5. That seems to be very limiting in deciding on a game on any given game night. The second is that it is very difficult to interact and have any “blocking your opponent” strategy except by chance that they are wanting to build a route on the same path as you. Overall though, it is a fun family game for occasional play. It should be in your game closet! Argent Adept is amazing! This is a more complex hero to play but when you figure him out he can be a beast. The Ennead is a very fun Villain group to fight against. If you let them hang around too long they all start causing havoc, then the heroes are in trouble. I love the play off the ancient Egypt mythology with this group of Villains. I always seem to use RA when fighting these guys. Gloomweaver is a little weak, but the great thing about this game is you can make small “house rules” adjustments to the setup that can make a Villain as tough as you want. This expansion really threw the game for a loop. I think I realize now that in the Multiverse anything can happen. My favorite hero in the game is now a bad guy in this alternate timeline. He is tough as the dickens too! The Villain Omnitron has created a good self in the future which travels back in time to defeat himself. Doesn’t that cause a paradox? Still a lot of fun to match up the good Omnitron of the future with the current bad Omnitron. Good variety in this set! This was the first battle tactic style game I’ve played. It’s slow at first when you are learning a new style of game. Once I got the hang of it, I had a good time smashing zombies and solving the puzzle aspect of it though. It’s a complex game to setup and learn. I was fortunate to have a few people to teach me to play because I don’t think I would want to figure a game like this out on my own. This is the best game I’ve played since I was introduced to Settlers of Catan back in 1998. Great game to play with your family. I love that it is a cooperative game which is unique compared to most games. I also like that you don’t need to put together your own deck for each hero. I played Star Wars Customizable Card Game for years and spent too much time building competitive decks. It was too exhausting! Sentinels of the Multiverse is great because you can just pick it up and play. It is a very easy game to learn for new players. Your turn consists of playing a card, using a power, and drawing a card. Very easy game mechanics! Sentinels is a game you can play over and over and never play the same game twice. It’s also nice that it is ever expanding. There are already several expansions you can add to the starter game. At the start of the game, keep both your ships on either Energy or Culture. That way you can build up your resources faster in one or the other to Upgrade your Empire. Once you upgrade your empire to level 3 and get your 3rd ship, then you can diversify. Try playing a competitive game with 3 players. The Action cards were, Casualty of War, Cursed Fury, City Siege, Betrayal, Enchantment, Growing Darkness, and Courage. The Defender cards were, Arcanist, Werebear, Shaman, Beast Rider, Stone Titan, Dread Knight and Fire Mage. I did make some card text changes for this to work. Cursed Fury, Betrayal, Arcanist and Stone Titan were changed to give Terror cards to all other players and not yourself. I gave everyone their own die and event deck of 3 cards each. We played to 15 Glory Points (must defeat at least 1 Invader from the Yellow stack) or whoever had the most Glory points when the game ended. Which ever came first. If your Event deck ran out, you were out and the remaining players continued on until the game ended. Try a full cooperative game with 3 players to 40 victory points. We used Casualty of War, Buried Gold, Shapeshifting, Ruler of the Ruins, Rush to Battle, Reinforcements, and Dawn of Hope Action cards. And we used Imperial Guard, Gladiator Elite, Dread Knight, Warlord, Valkyrie, Dragon Slayer, and Sorceress for the for the Defenders. Do not start with Ports on the board. During game play, if a settlement is placed on the edge of a land tile and a water tile, that player may choose the port they want. One of the weakest Heroes in the game. Rightfully so, since she doesn’t have any real super powers. In any case, I’ve played her 20+ times and not once have pulled off any of her cool card combos. So, I came up with this variant to at least give a chance of pulling off an unload or play multiple ammo cards on her signature guns. Power: Search your deck for an unlimited equipment card and put it into play. Reshuffle your deck. You may use a power now. Absolute Zero is a very challenging Hero to play. Most games his contributions to the team is little to none until the last few turns of the game. He can be rendered helpless if you face a Villain with Equipment destruction. So, I came up with this variant that allows him to cycle through his deck, getting rid of the many possible duplicates that he can accumulate in his hand while getting out his equipment faster. This change is only to his Power on his Character Card. Power: Discard a card. Draw a card. You may play an Equipment card. There have been a few heroes that have been a little frustrating to play because of the lengthy setup time during game play. Most of the time these heroes end up not doing much of anything through the entire game. Bunker being one of these heroes. So, I came up with this variant of Bunker that allows him to play his deck closer to, as I feel, as it was intended. This change is only to his Power on his Character Card. Power: Search your deck for a Mode Card and put it into play. Shuffle your deck. I use the monster tiles (*Monster tiles are found in the Castle Ravenloft set) in every adventure. Instead of drawing a monster card on the explore phase, draw a monster tile. The monster tiles can have anywhere from 0-3 monsters. I wanted to add an element of surprise when exploring and wanted to eliminate uniform monster distribution. I don’t like the perfect distribution of 1 monster per tile. When drawing a monster tile, you could confront 0, 1, 2 or 3 monsters on a newly explored tile. Adjust the distribution of the monster tiles based on your level of difficulty. NOTE: If you play where your characters can continue to increase levels, you can continue to adjust the monster tile distribution. I use the monster tiles in every adventure. Instead of drawing a monster card on the explore phase, draw a monster tile. The monster tiles can have anywhere from 0-3 monsters. I wanted to add an element of surprise when exploring and wanted to eliminate uniform monster distribution. I don’t like the perfect distribution of 1 monster per tile. The best time to play ships is if you have a ship that is worth 1 less than a ship already in play. Your ship may get overlooked and you’ll end up with just enough “free” ships to put you over the top in points at the end. Gang up on each Villain in turn until they are incapacitated. Go after Proletariat first and Friction last. Go after Friction last because her incapacitated side destroys your stuff every round. That can be a killer if she is incapacitated early. When the Wraith moves and attacks, keep the wraith on a different tile than the tile your hero is on. This will eliminate getting damaged when you destroy the wraith. Include the Cleric in your party. Give any items that increase bonus to hit to the Cleric. Once other players start to run low on HP, move onto the Cleric’s tile. Let the Cleric use Sacred Flame to heal. At first though, use the Cleric Shield power until you make a successful hit and put the token on himself. This will give him an A/C of 18. Then let the Cleric lead the way the rest of the adventure. just to name a few. Include 1 or 2 of these types of heroes on your team. You’ll need heroes that will consistently deal damage every round. If you’re not the first player to go and if someone plays the dice to upgrade their empire, make sure you use your 1 culture point to follow and upgrade your empire too. That way you will begin the game rolling 5 dice. Argent Adept’s most powerful contribution to the team is letting other heroes play cards. So, get Alacritous Subdominant and Inventive Preparation out ASAP. Aim to get Telamon’s Lyra for your first choice of instruments. Play Arcane Cadence whenever you have them to get what you need. 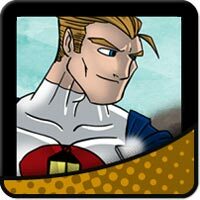 Team Leader Tachyon (promo hero card) is a great partner with him. 2 Draws per turn for the Villain will give an excellent challenge. The enemies always get the first hit on the heroes. 1. If at the start of your turn, or during your first action, you end up on a tile’s edge, you can declare you are attempting initiative. a. Draw and place a new dungeon tile and monster on that tile. b. Roll the dice and add any remaining movement you had on your first action to the dice roll. c. If your total is equal or greater than the monster’s AC then you may continue your hero phase. Continue any movement you had left from your first action and then complete your second action. d. If your total is lower than the monster’s AC then end your hero phase and go directly to the Villain phase. I found myself ignoring doors as I explored in fear that I would find a trapped door and take an unnecessary damage. My strategy was that I would just continue down a path with no doors until eventually I would get to my destination. So, I came up with this rule variant . . .
1. Whenever you place a tile with a door. Take the next tile face down from the stack and put it in its own “behind the door” stack. Shuffle the “behind the door” stack each time you add a tile to the stack. 2. Draw from the “behind the door” stack whenever you explore and are placing a tile on an edge with a door. This rule makes exploring rooms with doors relevant and increases the exploring factor in the game. Legendary. I’ve come back to this game a few times now. I seem to play this game in chunks. The new Ant Man expansion helped revitalize it for me this time. One thing I noticed that the makers overlooked is they should have made the monster damage tokens 2-sided. 1 damage on the front and 2 damage on the back. They only provided a couple of 2 damage tokens. @ChyronDave — I agree. Usually what I do is play multiple heroes at a time. What I’ve found is that if you try to play 1 hero you get stomped. I guess making your own solo scenarios is a possibility. I have made some mistakes on my game shelf in my profile. I wish there was a way to correct errors. I wish there was a calendar to show your plays. Sometimes I can’t remember if I recorded a play from the weekend and there is no way to verify. @Fnoffen and @Stargazer1 This is a good site. I think it just needs more publicity. I got back into playing Marvel Legendary the last few months of 2017. It’s always fun to rediscover a game again and have tons of fun with it. I also went through a 2nd campaign of Imperial Assault. Played Tiny Epic Kingdoms and Abyss again after a few years. Some new games I’ve played recently as of posting this in January of 2018 are . . . Gloomhaven Dice Forge Massive Darkness Tiny Epic Quest As of May 2017, I just got through Pandemic Legacy. Will be going through a campaign of Legend of Drizzt next.